That post title says it all! 🙂 These cupcakes were for a friend who likes pink and likes it sparkly! Paired with these damask black/white liners, they were ooh la la! 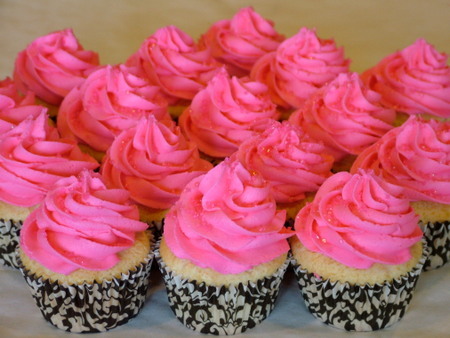 Its hard to see the “sparkle” of these but they had a dark pink sugar sprinkled on top.